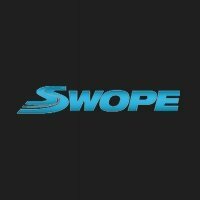 Swope Toyota is devoted to safety and dependability, and proper vehicle maintenance is important to both. That’s why we include a no cost maintenance plan with the purchase or lease of every new Toyota for 2 years or 25,000 miles, whichever comes first. Why should your peace of mind end at two years? With ToyotaCare Plus, you’ve got options. Enjoy 24/7 roadside assistance coverage through the life of your plan. Note: Prepaid Maintenance Plans are optional, cancellable (see terms of Agreement) and is not required to obtain credit. Coverage is effective from the vehicle’s date of first use as a new vehicle and expires at selected plan’s year or mileage limit, whichever occurs first. The use of synthetic grade engine oil may be indicated for your vehicle. Synthetic oil may require changing less often. Consult your vehicle’s Scheduled Maintenance Guide for factory-recommended oil grade and service intervals.